No one is guaranteed safety when they drive their vehicle on busy roads. However, it is reasonable for people to expect that other drivers will make safe and appropriate decisions to decrease the risks of an auto accident. This is especially true of those operating large commercial trucks. Truck accidents often result in significant damages and injury, so there are laws and regulations in place to ensure that truck drivers and the companies that operate them are taking precautions to increase the safety of these vehicles. 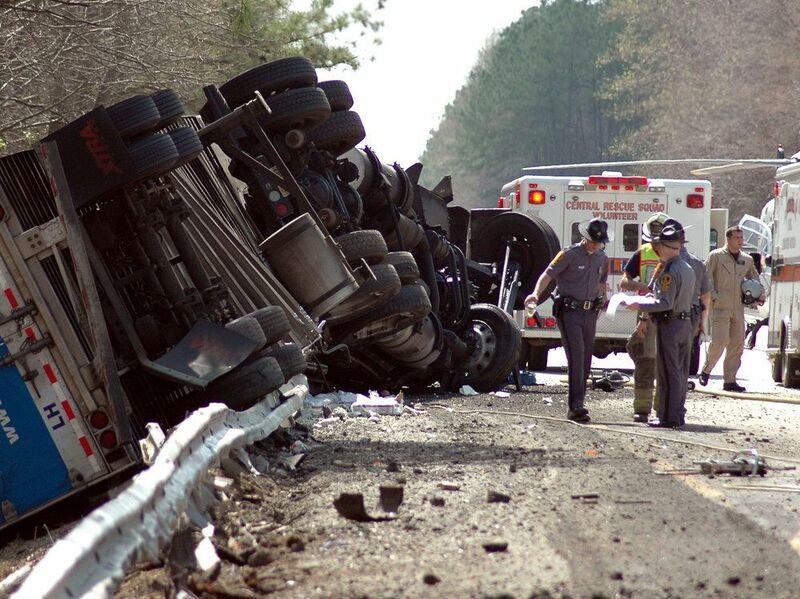 When these trucks carry tractor-trailers it is even more important that these regulations are followed, as tractor-trailer accidents can be especially damaging. In the unfortunate event that a person is injured in a tractor-trailer accident, the attorneys at our Scranton, PA practice, Foley Law Firm, can examine the case to determine and prove liability so that the accident victim can collect fair compensation. Size and weight: Tractor-trailers are extremely large and can weigh up to 80,000 pounds. This is significantly larger and heavier than most personal vehicles, making them extremely dangerous during a collision, especially one involving high speeds. Braking ability: Because of their size, it is much harder to slow down or stop a vehicle that is carrying a tractor-trailer. It can take more than the length of a football field to stop a tractor-trailer that is going 60 miles per hour. Maneuverability: Tractor-trailers are also more difficult to maneuver. Their length and weight make it more difficult to turn, take corners, and generally alter their course on the road. Cargo: Tractor-trailers are meant to carry cargo, and, unfortunately, this cargo can further increase the dangers of tractor-trailer accidents. Not only does the cargo increase the weight of a tractor-trailer and decrease it maneuverability, but cargo may be dangerous on its own. For instance, it is common for tractor-trailers to carry cargo that is flammable or hazardous. All of the dangers associated with tractor-trailers amount to an increased risk of damages should a tractor-trailer accident take place. Aside from the severe damage that is likely to affect the other vehicle(s) involved, personal injury or death may occur. Victims injured in a tractor-trailer accident, or those left to suffer from the loss of a loved one, have a right to financial compensation if it can be shown that the truck driver or operating company is at fault for the accident. Our truck accident attorneys understand the regulations that are in place regarding the operation of large commercial vehicles, and we can examine a case to determine and prove liability. We are happy to fight hard on behalf of our clients to ensure that they receive maximum compensation for any damages that are suffered. If you or a loved one has been injured in a tractor-trailer accident, it is in your best interest to act quickly and seek the aid of an experienced truck accident attorney, such as those at Foley Law Firm. Contact us at your earliest convenience to discuss the details of your case and find out how we can help you in your pursuit for financial compensation.